David Morales’ legendary track ‘Needin U’ is a landmark in house music culture all the way from its release in 1998, and remains a seminal classic in dance music history. 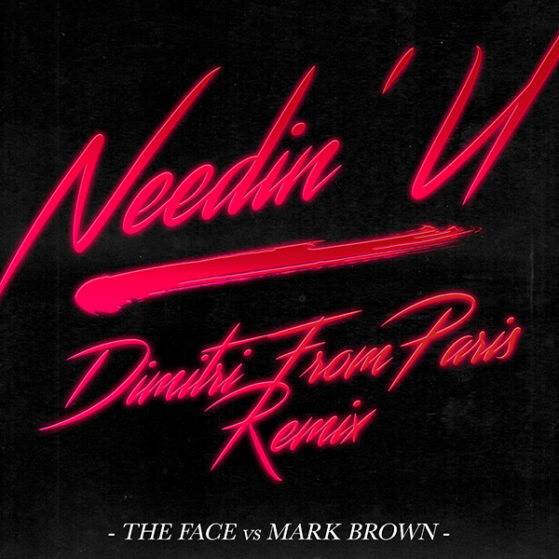 In celebration of the tracks 20th Anniversary, French artist/producer Dimitri From Paris has created yet another thrilling remix of The Face vs. Mark Brown’s previous version of ‘Needin U’, released in 2009 via Cr2, securing a number 1 spot on Beatport charts for 12 consecutive weeks. With plenty of calibre under his belt, including disco remixes of Chic and Sister Sledge, Dimitri From Paris’ take on this all time house classic is not only marked by his acclaimed signature sound – live instrumentation, booming four to floor beat, dynamic rhythms and energising bass lines, but the fabric of David Morales’ legendary track is evident throughout. Whether for the casual dance music fan, household DJ or an enthusiast for the all time classics, this remix is a must listen.